FAMILY ties will be stretched to the limit when Serena and Venus Williams clash in a compelling U.S. Open quarter-final on Tuesday where much more than sibling bragging rights will be on the line. A win by Venus would keep the 35-year-old on track for a first grand slam title since 2008 Wimbledon and a possible return to the U.S. Open final where she first made the final in her debut in 1997. But a victory would end little sister Serena’s quest for the rarest of tennis feats – a calendar-year grand slam. 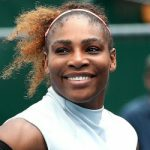 After wins at the Australian, French and Wimbledon, Serena will enter the Arthur Ashe Stadium court just three victories from joining the exclusive club whose short membership list includes Maureen Connolly, Margaret Court and Steffi Graf. “Pretty clear what’s up for grabs here,” said Venus following her fourth-round win over Estonian Anett Kontaveit on Sunday. “I think people love to see history being made. 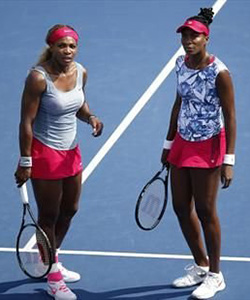 Certainly there are no secrets between the sisters who will know exactly what to expect having played each other since they were first handed rackets growing up in the hard-scrabble Los Angeles Compton neighbourhood and began an unlikely and inspiring journey to the top of their sport. As professionals they have clashed 26 times with Serena holding the advantage 15-11. Serena won their last meeting in July at Wimbledon while Venus came out on top when they last met on a hardcourt last August in Montreal. In grand slams Serena also holds the advantage 8-5 and 6-2 when they have met in the final. Serena maintains Venus has always been her toughest opponent and with 11 losses to older sister, nobody has beaten the 21-times grand slam winner more. Retired Jennifer Captriati comes the next closet with a 10-7 record while Justine Henin (8-6) and Martina Hingis (7-6) each had six wins. Only a handful of players can claim more than one career win over the muscular American and only two, Belinda Bencic and Petra Kvitova, have beaten her this season. “I mean, I’m playing, for me, the best player (Venus) in the tournament and that’s never easy,” said Serena, 33, who is two years younger than Venus. It was 18 years ago that Venus reached the U.S. Open final for the first time but Serena lifted the family’s first grand slam trophy when she won two years later at Flushing Meadows. While Serena has long looked up to big sister and credits her with much of her own success she long ago stepped out from Venus’s shadow to become one of the sport’s all-time greats. 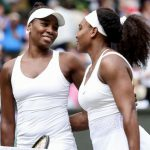 Whenever the Williams sisters clash on court it is a major tennis event and Tuesday’s meeting is ripe with drama and suspense. Two of the sport’s dominant figures, the sisters long ago accepted the inevitable that they would stand across the net blocking each other’s path to a title. The matches have not always produced riveting tennis but over the years the angst has eased, at least making the contests more enjoyable for the sisters if not the fans. “Nowadays, I would agree, I think it’s more fun than it used to be,” said Serena following her fourth-round win over Madison Keys. “We really relish the opportunity. We’re both happy to still be involved in getting so far. And it’s still super intense. She’s doing well and she wants to win this. So do I. It’s not easy. Venus and Serena remain best of friends off the court, sharing a love for fashion and other interests while building separate lives. “I feel like Venus and I have definitely proven that you can be friends and you can be sisters; you can be enemies on the court, and you can be friends and sisters off the court,” summed up Serena.